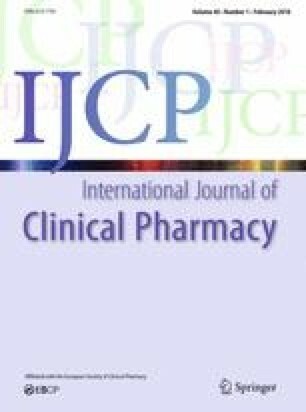 Pharmaceutical care and health related quality of life outcomes over the past 25 years: Have we measured dimensions that really matter? Background Several measures of Health-Related Quality of Life (HRQoL) have been used to evaluate Pharmaceutical Care (PC) interventions in the past decades. However, their suitability for evaluation of PC services has not been comprehensively evaluated. Aim of the review The aim of this review was to perform content analysis of HRQoL measures used in PC studies to gain an insight into their suitability for evaluation of PC services. Method PC studies evaluating HRQoL as a primary or secondary outcomes were retrieved based on a literature search of articles published from 1990 to 2015, on Medline, Embase, International Pharmaceutical Abstracts, Global Health, PsycInfo, Web of Science, Cinahl, HealthStar, Cochrane Library, AUSThealth, Australian Medical Index, and Current content. Measures of HRQoL used in the studies were identified and relevant information was extracted. A conceptual model of a patient reported Medication-Related Burden Quality of Life was used to guide the analysis. Results 117 studies were retrieved. Thirty-seven: 10 generic, 27 condition-specific HRQoL measures with a total of 1019 items about physical functioning (n = 430), psychological wellbeing (n = 288), social wellbeing (n = 119), physical burden (n = 69) and others (n = 113) were used in the studies. Only 34 of 1019 items were specifically related to medicines. Of these, the majority of items focused on other aspects of medicine such as adherence, rather than the burden imposed by medicine on quality of life. Conclusion A holistic analysis of HRQoL measures used in PC studies published over two and half decades provided a better insight into sensitivity and specificity of the measures to PC services. This review found that HRQoL measures used in PC studies provide a very limited coverage of themes related to the burden of medicine on quality of life. Therefore, may have limited potential for use as a sole humanistic measure when evaluating PC interventions. There is a scope for future research in the development of an alternative measure suitable for evaluation of the burden of medicine and the impact of PC interventions on quality of life outcomes. The online version of this article ( https://doi.org/10.1007/s11096-017-0582-8) contains supplementary material, which is available to authorized users. This work received no specific grant from any funding agency in the public, commercial or not-for-profit sectors. US Food and Drug Administration. Guidance for industry patientreported outcome measures: Use in medial product developmental to support labeling claims [internet]. Draft guidance; 2009. http://www.fda.gov/downloads/Drugs/GuidanceComplianceRegulatoryInformation/Guidances/UCM193282.pdf. Accessed 8 Oct 2017. World Health Organization (WHO) Introduction, administration, scoring, and generic version of the assessment [online] 1996. http://www.who.int/mental_health/media/en/76.pdf. Accessed 18 Feb 2016.